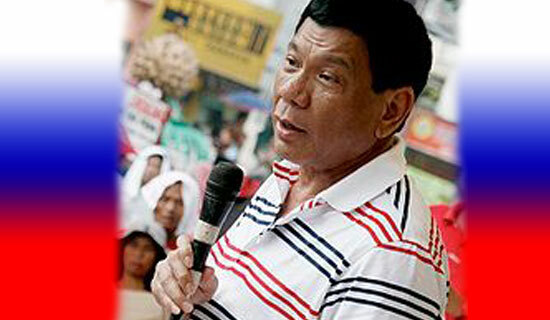 Davao City Mayor Rodrigo Duterte one of the Presidential aspirant this 2016 race have been viral all through out social medias lately because of how he express himself when he acts and talk towards people, but that does not stop there. After flagging down some of his platforms, most netizen started to bashed him. One reason is, he wants to replace Algebra, Calculus and Trigonometry to Business Math (Highschool) when he becomes president. And now, the Mayor stated an additional campaign platform for this coming election. He wants to totally ban selling and using of firecrackers and pyrotechnic materials nationwide. This ban had been strictly exercise in his home City that is why if he wins this coming 2016 election, Mayor Duterte wants to implement it to the whole country. Aside from Firecrackers he also wants to ban firing of guns during the holidays especially every New Years eve. What would you people see if this platforms be implemented? Would you agree or disagree? Hit it down to the comment section below for your opinions. Comments or suggestions about "Fireworks no more when Duterte wins in 2016 race" is important to us, you may share it by using the comment box below.